"These are thrilling times for the Voyager team as we try to understand the quickening pace of changes as Voyager 1 approaches the edge of interstellar space," said Edward Stone, the Voyager project scientist based at the California Institute of Technology, Pasadena, Calif. "We are certainly in a new region at the edge of the solar system where things are changing rapidly. But we are not yet able to say that Voyager 1 has entered interstellar space." The levels of high-energy cosmic ray particles have been increasing for years, but more slowly than they are now. The last jump -- of five percent -- took one week in May. The levels of lower-energy particles from inside our solar system have been slowly decreasing for the last two years. 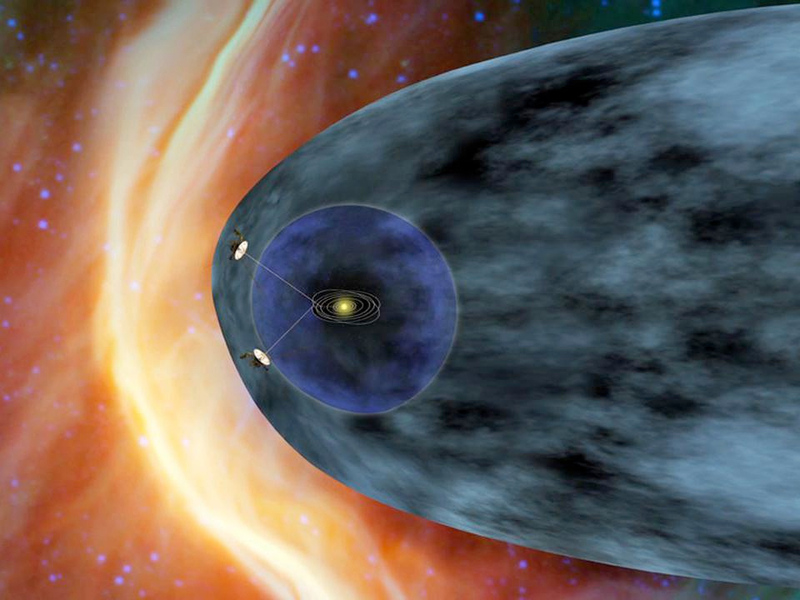 Scientists expect that the lower-energy particles will drop close to zero when Voyager 1 finally crosses into interstellar space. "The increase and the decrease are sharper than we've seen before, but that's also what we said about the May data," Stone said. "The data are changing in ways that we didn't expect, but Voyager has always surprised us with new discoveries." Voyager 1, which launched on Sept. 5, 1977, is 11 billion miles (18 billion kilometers) from the sun. 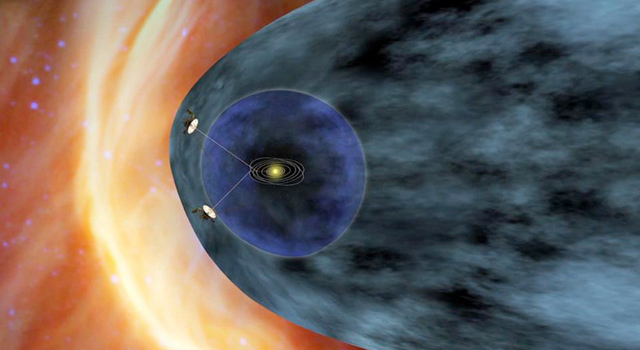 Voyager 2, which launched on Aug. 20, 1977, is close behind, at 9.3 billion miles (15 billion kilometers) from the sun. "Our two veteran Voyager spacecraft are hale and healthy as they near the 35th anniversary of their launch," said Suzanne Dodd, Voyager project manager based at NASA's Jet Propulsion Laboratory, Pasadena. "We know they will cross into interstellar space. It's just a question of when."